The legal counsel representing New Jersey’s Borgata Hotel Casino & Spa has submitted a supplemental filing seeking more than $15 million in total from defendants Phil Ivey and “Kelly” Cheung Yin Sun. The filing follows last week’s split decision (largely in favor of the Borgata) in a prominent case involving an “edge sorting” card-identification scheme at the Borg’s high-stakes mini-baccarat tables. In the filing, requested by presiding US District Court judge Noel J. Hillman as part of last week’s ruling, the Borgata outlined its case for why Ivey (as the player of record for the 2012 gambling sessions), should be held liable for far more than the $9.626 million he actually won at the Borgata’s mini-baccarat tables. The latest filing includes three additional areas where the Borgata believes that Ivey owes the casino money, over and above the actual mini-baccarat profits: Those three areas include: a sizable win by Ivey at craps during one of the four 2012 visits; another quarter of a million in casino comps provided to Ivey throughout 2012; and in perhaps the largest reach, more than $5.4 million in “expectation damages,” based on the normal house edge at the Borg’s mini-baccarat tables. The total sought by the Borgata in the filing then jumps to $15,548,311.40, not including any interest penalties or legal fees. And yet, it could have been much higher. 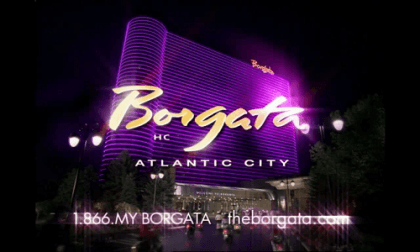 Had the Borgata prevailed in its fraud and RICO claims, rather than just the breach-of-contract counts, then the possible trebled damages could have made this a $30-45 million judgment. Craps Winnings — Ivey, a noted high-stakes craps player, also played some of that on each of his four 2012 visits to the Borgata. On three of those four visits, Ivey was an overall loser at craps. However, Ivey won $504,000 on his July, 2012 visit, which lasted five days. Under previous case law, which has enforced a “fruit of the poisoned tree” stance, the Borgata alleges that Ivey is due only his original bankroll deposit for that trip, which was wired to the casino in advance. The rationale: that the winnings from the skewed mini-baccarat sessions during the same trip allowed Ivey more freedom in placing hefty craps bets. Casino Comps — Casinos such as the Borgata typically lay out lavish comps for gambling whales, in the expectation that such gamblers will lose hundreds of thousands of dollars on the casino floor. The Borgata-Ivey relationship was no exception; however, the casino believes that Ivey should refund the full value of those comps, since they were offered in the expectation that the mini-baccarat games participated in by Ivey would be at the traditional house edge in the game, not the skewed ratio in favor of Ivey that his and Sun’s scheme achieved. The total book value of the combined “gaming” and “non-gaming” comps extended to Phil Ivey and his companion, Sun, over their four visits in 2012 came to $249,199.83, per the latest filing. The total includes dozens of meals at the Borg’s pricey, high-quality restaurants, private bottle and bar service, an on-call limit, some air fare, spa privileges, butler service, and many more niceties. “Expectation Damages” — Based on something like the expected-value calculations long familiar to online-poker players, the Borgata damages filing also asks for the amount of profit the casino believes it would have generated, had Ivey been playing mini-baccarat with the normal house edge. When the bettor banks on “Banker” in mini-baccarat, the house edge is 1.06%. When betting on “Player,” the house edge is 1.24%. By calculating those expected edges against the total number of hands played by Ivey, the Borgata can derive a total figure it believes it would have won under normal conditions and average luck. Over the four 2012 sessions, Ivey played a total of 8618 hands of mini-baccarat, with an average (mean) bet of $56,350.08. When the two differing house edges were factored in, the Borgata believes it should have profited during those four sessions by $5,418,311.40. The expectation damages as asked for by the Borgata are likely to be argued at length. On the one hand, there’s likely no possibility that Ivey plays those 8618 hands without having a significant edge. On the other, the Borgata had to provide significant casino resources to allow those hands to be played, over and above the value of the expected comps. Such things include the cost of staff, the high-stakes venue, the equipment, and far more. Counsel for Ivey and Sun has yet to file an initial response to last week’s ruling. That could include an appeal of the ruling i general, which would likely delay the adjudged assessment of damages for some time.